This CD incorporates bio-information about the human body. The information is provided by NES Health, based on the research of Peter Fraser into how energy and information direct the human body field, and affect health and well-being at the physical and emotional levels. 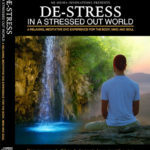 Each song is includes a quantum healing field that is one of the remedies from Nutri-Energetics. For some of the songs the chord progressions are the field. In other songs, the field is embedded in the background. Some songs also include Binaural Beat Brainwave Entrainment. 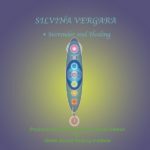 Together, the sounds, music and encoded bio-information provide a one-of-a-kind healing experience that you won't find anywhere else. Only available as a CD… not a download. Journey Through The Matrix is the second collaboration between David Gibson and Britain’s Harry Massey, co-founder of NES Health Limited and producer of the documentary film The Living Matrix: The New Science of Healing. Sound, in all forms and certainly in the form of music, imparts its own kind of energy and information. 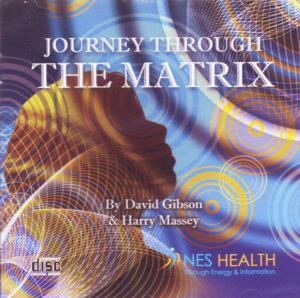 The sounds and music in Journey Through The Matrix are based on both ancient and modern science from the field of sound healing and therapy. The structure of some of the songs is based on the keynotes for archetypal healing modes, which are enhanced by the information encoded from NES Health research that imparts their own kind of therapeutic effect. Together, the music and encoded bio-information provide a one-of-a-kind healing experience that you won’t find anywhere else. 1. Reconnection – This song takes you out of the fog into a reconnection to source and heart through the use of two cello tracks. 2. Good Grief – This epic tune is about releasing grief. Use it for releasing whatever grief you might have. The song builds to a powerful crescendo to empower you as you release the grief. 3. Overcoming Fear – This song takes you out of the state of fear into a state of confidence and assuredness. The high frequencies of Tibetan bowls and crickets aid in breaking up the fear. 4. Heart – This songs soars into the heights of love of the heart, then comes back down to the peace within the heart. 5. Imprinter – This song is about activation with heart. This song is about the energy of happiness. 6. Matrix Restore – Floating through the matrix within the body. 7. Chakra Star – We resonate through each chakra. 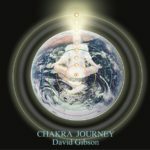 We spend one minute on each chakra and use a tingsha bell to signify the transition from one chakra to the next. 8. Energetic Star, Memory – The first half (Energetic Star) is about the breath. As we breathe in we reach for the stars; As we breathe out we relax. Memory begins with the whales who hold the ancient memories, then breaks into a faster tempo activating the memory. We’ve added binaural beats in Alpha to also activate the memory. 9. Calm Mind – This song is about the stillness of mind. We’ve included binaural beats in deep Delta to entrain you into a deep state of Meditation . 10. Harmonize Emotions – We float through the muddy world of emotions using effects that turn the music inside out. We then slowly transform the emotions into harmonized clarity. 11. Lucky – We rise to the magic of the lucky moment. 12. Enlightenment – The road to enlightenment begins with peace and the breath. We take you from this peace and breathe into the Light. Binaural Beats entrain you from Alpha to Theta to deep Delta. This CD works well for background listening but is really effective when listened to with full attention. 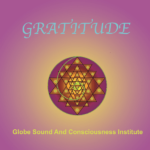 This is a class project where we focused our intentions consistently on the energy of gratitude. We held our intentions with 100% focus while toning. There are also Binaural Beats embedded in the song that entrain your brain into Theta.